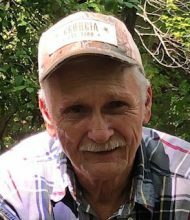 Larry Alvin “Bo” Malloy, 70, of the Middle River Community, passed away Sunday morning, December 30, 2018 at his home. Born May 21, 1948, in Commerce, he was the son of Emily Bruce, and the late Elton Bruce. He was the brother of the late Joyce McElroy. Before retirement he was a supervisor with Roper Pump Company in Commerce, GA for 30 years. He was a member of Middle River Baptist Church. He is survived by his wife Tina Malloy; three daughters and sons-in-law, Wanda and Paul Atha, Crystal Matthews, and April and Jay Thurmond; nine grandchildren, Amanda, Dylan, Alyson, Cole, Austin, Kassy, Mitch, Annabelle, and Caylon; great-grandson, Weston; sister, Dorothy Moore, Carnesville; brother William Bruce, Lavonia. Services will be 2pm Thursday at the B D Ginn Memorial Chapel with Rev. Paul Jameson. Burial will be at the Middle River Baptist Church Cemetery. The body is a the Ginn Funeral Home. The family is at the home. They will receive friends from 5 until 8pm Wednesday evening at the funeral home. Remembering you all, in prayer, as you go through this very difficult time. Chrystal, we are praying with you and love you. We pray for the Lord to help all of you through this time of grief. Our thoughts and prayers are with you and your family during this time. May God’s love give you peace and comfort in the days ahead. We love you all. Crystal you are so very precious and have a special place in my heart. Our prayers are with you and your family during this time may the very presence of God be with you all now and in days to come. We love you. Tina, Bruce and the rest of the family.I am so sorry about Larry. You all are in my thoughts and prayers. Tina I am so sorry about Larry. You are in my thoughts and prayers.